This article was adapted from a prior travel article, and its focus on the Zeiss Touit lenses for Sony NEX and Fujifilm X. See the in-depth review of Sony NEX and in-depth review of Fujifilm X in Guide to Mirrorless. See also Trends in cameras designs. Mirrorless cameras have a lot going for them. In reality, they have “little” going for them: they offer a compact and lightweight form factor, yet they produce very high image quality. Many DSLR users are finding mirrorless cameras to be a useful tool for serious photography, and some are even “switchers,” simply for the form factor. For photographers on the go, the size-and-quality combination is simply unbeatable. The choices include interchangeable lens cameras (such as Sony NEX and Fujifilm X, the focus here), but when one want to really travel light, cameras (as of 2013) like the Ricoh GR and Sony RX100 and Sony RX1 and Sigma DP Merrill series start to make a lot of sense. Travel photography as used here can mean any photography away from one’s usual haunts; it could be a trip to a national park, an ethnic neighborhood in a city, castle interiors in Europe, or a local farmers' market. All have one commonality: the drudgery of carrying bulky gear might incentivize one to leave that gear behind, which means no pictures. For all such photographic adventures, pick a camera you won’t dislike carrying around all day. Some venues prohibit professional cameras, which roughly translates to DSLRs. By carrying a mirrorless camera, the chances are minimized that you'll be denied photographic access. But there is another, even better, benefit: bystanders (including security guards) react differently to a DSLR with a big lens than a small camera with a compact lens. People such as subjects, officials, and random passers-by tend to ignore tourists with tourist-like cameras. A DSLR is a big red flag, but a small mirrorless camera is innocuous. And on this count, the fixed lens compacts are even more of a safe bet than the Sony NEX and Fujifilm X solutions, which ultimately have a DSLR-like look with their relatively bulky lenses. An 12mm lens on an APS-C mirrorless camera has the same angle of view as na 18mm lens on a full-frame camera. A 32mm lens on APS-C ~= 48mm on full frame. 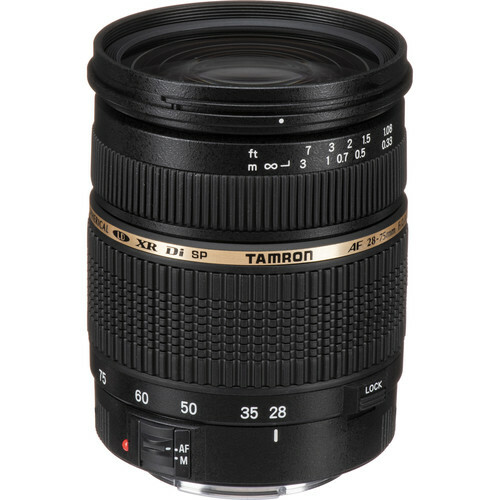 Zoom lenses are attractive at first perusal, but they to have smaller (darker) maximum apertures, so slower shutter speeds are required for optimal exposures (although the priciest zooms have maximum apertures of f/2.8 and even wider). Generally speaking, zoom lenses are difficult to use well (easy to zoom to frame a subject in is not conducive to making quality images). Better pictures tend to result from thinking through perspective and relationships; a zoom encourages shooting without any attention to distance and perspective: plant the feet and shoot the street is not a recipe for success. Of course, zooms can also be indispensible when one cannot move easily. One lens used well can cover many situations. Pick your favorite focal length and the quality of images will likely be better than ever by learning to shoot one focal length well. Zoom in and out with your feet and think about the arrangement you want to capture, or the feeling you want to evoke. My all-around favorite focal length is 28mm, and for 28mm, the Ricoh GR is my 2013 camera of the year. Adding a second lens should offer clear-cut options. If you bring an 18mm ultra-wide and a 50mm normal lens, you can cover a handy range of focal lengths which are clearly different. Two small cameras with significantly different lenses are an alternative to having one camera with two lenses. If one fails, the other can be used, and both can be employed without interrupting to change lenses. A good combination would be something like the diminutive Sony RX100 (reviewed in depth at diglloyd.com), along with a somewhat larger APS-C mirrorless camera. Less is more. By limiting your choices to two focal lengths, or a maximum of three, greater facility and ease of image making should be the likely result. My favorites for the popular Sony NEX and Fujifilm X camera systems* are the new Zeiss Touit lenses. They offer high-grade build quality, top optical performance, and autofocus (reviewed extensively at diglloyd.com along with Sony NEX system and Fujifilm X system). In general, I am not a fan (in terms of performance) of the Sony-brand lenses for Sony NEX except for the Sony/Zeiss models, such as the Sony/Zeiss 24mm f/1.8. The Fujifilm X lenses are a mixed bag: the Fujinon 14mm and Fujinon 35mm are excellent, the others proving unsatisfactory. The Touit lenses include efficient lens hoods that match the lens, generous focusing rings for manual focusing, if desired, and a nine-blade, rounded aperture. Key parts are metal, other parts are rubber and plastic to keep weight down. These build aspects contribute to a pleasurable user experience. Optically, both are very high-grade lenses, both are free of focus shift, and both render very pleasing bokeh (the out-of-focus areas in an image). On Sony NEX cameras, lens corrections can be selectively applied for JPEG, but are not used for RAW (a good thing, in my view). On Fujifilm X, all lens corrections are always applied. * I am not generally a fan of the 2013 Fujifilm X-E1 and X-Pro1 camera bodies due to certain unforgiveable sharpness-degrading behaviors issues such as focus creep. The Zeiss Touit 12mm f/2.8 Distagon is like an 18mm equivalent ultra-wide-angle lens on an APS-C camera. For city shooting, steep perspectives and interiors, it offers unbeatable image quality and is great fun to use. Try focusing at very close range for pronounced near/far perspectives. As an ultra-wide, it is a handy alternative to a normal lens. In the field, the outstanding optical correction of the 12mm f/2.8 quickly manifests itself. Sharpness is very high, color saturation is rich, and there is no color fringing to be found, even under demanding lighting conditions—rare, especially for a wide-angle lens. The high lens contrast and color correction lend themselves to outstanding, quality black-and-white conversions from color originals. Even though it is a wide-angle lens, the bokeh it renders is very pleasing. Aside from depth-of-field control, one can confidently shoot it wide open, because it is already near optimal at f/2.8. It can even be pressed into environmental-portraiture duty with appropriate framing and angle—very handy for capturing a subject in an environment. The Zeiss Touit 32mm f/1.8 Planar (48mm equivalent) offers classic Zeiss image rendition with gorgeous out-of-focus effects—great for portraits or isolating a subject. 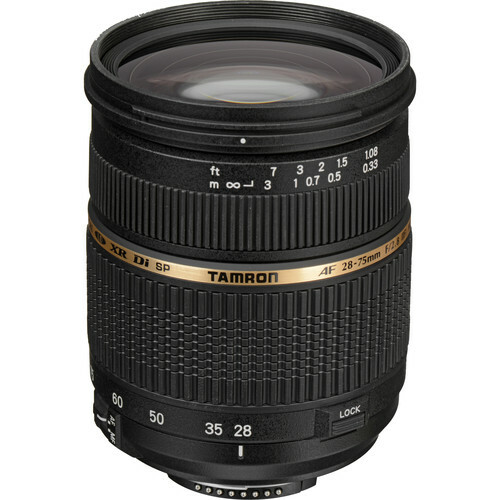 Its f/1.8 aperture allows lower-light shooting as well. While its sharpness is outstanding, the exceptionally pleasing bokeh is perhaps its most compelling feature. However, for Fujifilm shooters, the Fujinion 35mm f/1.4 XF is also a very fine lens. Combined with high micro contrast for in-focus fine detail, subjects “pop out” beautifully. Even into the far corners, the uniformly pleasing bokeh lends a certain stability and relaxed feeling to the image that steadily encourages more and more exploration. This rendering style is not measured in lab tests of lenses, but it exerts a visual impact that is important to the feel of an image. It is classic Zeiss, and anyone looking for something special will surely find it with the 32mm f/1.8 Touit. Portraiture is especially pleasing with the 32mm f/1.8 Touit, and the focal length affords a very comfortable working distance while still creating a sense of being close to the subject. Loading up on gear defeats the form-factor advantage. Keep it simple. Gear that fits into pockets is a huge plus. Two spare batteries and a single extra lens is “move-fast-and-have-fun” pleasure. Keep it simple on storage, too. When traveling, having to swap cards just means a greater chance of losing a card. One reliable pro-grade 64GB card can last for a long trip. Carry two such cards and you’re set. Add-ons are hassles you don’t need while on the go. These include such items as an optional flash, optional EVF, too many filters, or a camera case whose job is to make it difficult to grab a spontaneous picture. I never use a camera case, period. What is worth adding are extra batteries, one polarizer, and one protective filter. 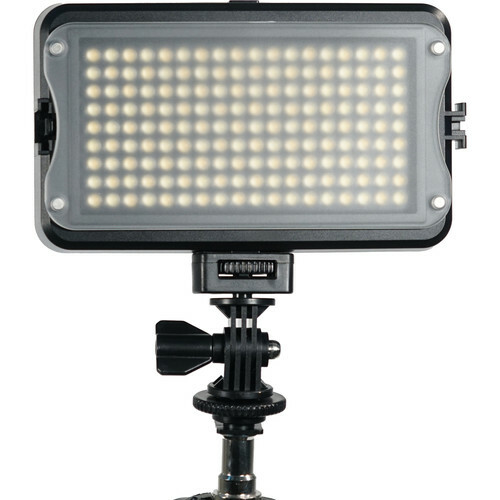 Optional: a small reflector for fill light that can collapse into a pocketable case—handy in many places. A built-in flash is always available. It is not for night shooting, it is for toning fill light—to tone down ugly shadows common in so many situations, such as shadows under the eyes (portraits). An add-on flash is a hassle to carry, and gets in the way. A built-in electronic viewfinder (EVF) is a huge plus. It allows you to put the camera to your eye and make sharp pictures at slow shutter speeds by “mass coupling” the camera to the body. Holding a camera at arm’s length is a sharpness disaster. Also, especially for older photographers, an EVF with diopter adjustment is a huge plus, not to mention when it's there for high-glare situations. An add-on EVF “wart” is a hassle. Extra expense, prone to breakage, and tends to catch on clothing or bags when you stow or retrieve it. 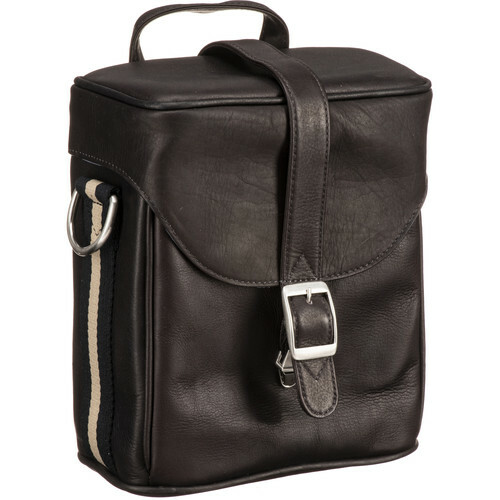 A bag to carry the camera is useful, but does not necessarily need to be a camera bag. A bag that does double-duty, carrying a water bottle, food, clothing, etc., and looks a bit worn and road-weary is better than a camera bag that might as well be labeled “camera inside, please steal.” I like the North Face Recon Daypack for this purpose, and I generally stuff any camera gear inside OpTech neoprene lens pouches or similar, for impact protection. The bag is for airline travel or hikes, etc; pull your camera stuff out and pocket an extra lens and you can leave it behind in your room. A key to getting great shots is being willing to photograph anything, ignoring the obvious, and to get into the mood and feel of a place. You might have to first put the camera aside and just sit for a while, letting impressions come. Relax into it. Pick up the camera when the essentials emerge. But the opposite is possible. Put yourself into first-reaction mode, free-form shooting that avoids preconceived notions of what makes a conventional photograph. Go high, go low, go strange angle, very close, and so on. This can loosen up creativity, even if most shots are throwaways in the end. Here’s some personal advice: I never make my best images when friends or family are there to distract me. Having to respond to another person is just too disruptive to my flow unless the other people are the subject. One can generally observe and photograph, or participate; for me, it is hard to do both. Composition involves subject placement and distance, angle of view and so on. Force yourself to change all of those variables—more interesting images will result. This is another reason to avoid zoom lenses: zooms = lazy feet. Shoot at varying apertures for sharp/blur effects of varying degrees—nothing gets boring faster than seeing every picture taken at f/2 or f/11 (another reason why slow zoom lenses are best avoided, the range is restricted). Lighting is often non-optimal when you're traveling. By choosing dawn or dusk time frames, the lighting is working in your favor. Dramatic angles or diffused glow all help—hugely. During the day, scout promising areas, then return late in the day or early in the morning and the photographic results will be much improved by the good low-angle lighting. In this regard, interiors are fair game. Some interiors are terrific in midday lighting and some are not, so consider mixing indoor and outdoor subjects and lighting. Even the small APS-C cameras such as Sony NEX or Fujifilm X are on the larger side with lens attached, still too large for many types of active outdoor pursuits. Remember: taking no camera means taking no pictures! See The Future of Image Quality is Fixed-Lens Cameras. Small cameras no longer need be compromises in image quality. Ricoh GR (28mm) + Sony RX100 (28-105mm). Ricoh GR (28mm) + Sony RX1 (35mm) + Sigma DP3 Merrill (75mm). Sigma DP Merrill: DP1 (28mm) + DP2 (45mm) + DP3 (75mm). Sony RX1 (35mm) + Sony RX100 (28mm - 105mm). My personal favorite of all these cameras is the Ricoh GR (as of late 2013). Image quality for the same size sensor if anything is superior to their bulkier interchangeable-lens brethren, but some of these cameras can fit into a small pocket, including a cycling-jersey pocket—see my cycling website, WindInMyFace.com, for more details.